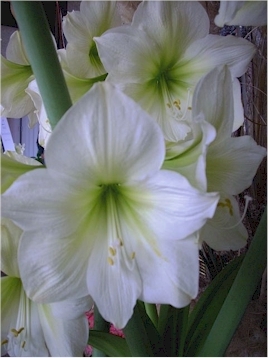 Amaryllis Lemon Lime is one of the 'green' amaryllis hybrids. Most of the hybrids in this group are white, or a soft lemon-lime color, often with a strong greenish hue in the throat. Occasionally, in the right light, they look yellow or soft green! Neverthless, their fresh lemony color is very appealing and subtle, in contrast to some of the more bodacious red and pink varieties! 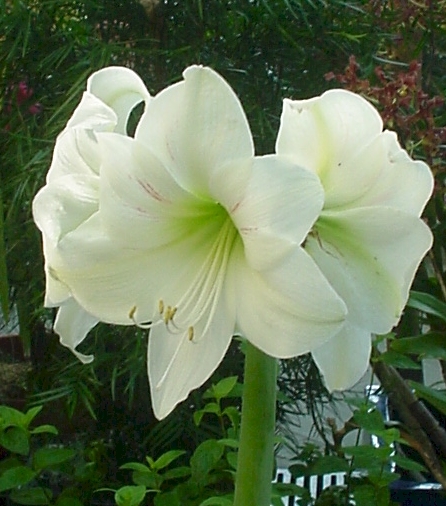 Moonlight, Luna, and Green Goddess are other popular varieties in this genre.